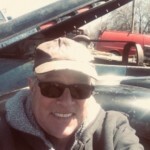 April1,2019Restoration is going well, and expect to test drive it soon. The engine and trans are working good, and the warning brake light is off now. Just waiting for everything to mount my new wheels and tires. Very exciting. I chose 19.5. I found someone to make hubrings, and someone else to tap my new lugnuts. Just have to wait a few weeks more for delivery!